I took a screen shot of that one, and it looked like the signal was 'ringing' about a central frequency. 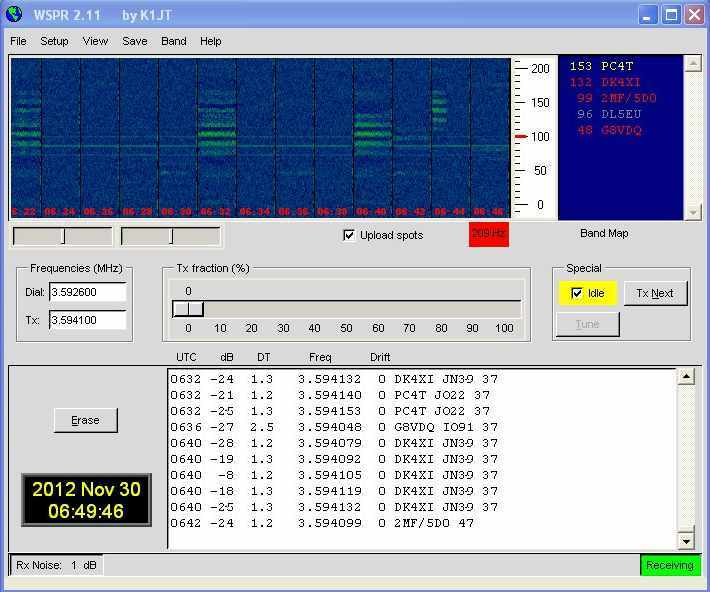 I assumed at the time that it was something generated by my receiver, which is a FUNCube Dongle Pro Plus using SDR#. Now it has happened again but this time on a different band I am not so sure especially as the receiver has been running for many hours during the day with no issues. These multiple spots have happened in the early morning, just as the sun is beginning to rise.